The current adoption of two-factor authentication (2FA) in the enterprise for digital solutions is massive. Mobile downloads of two-factor authentication applications have increased 320% in the last two years. The tools for users have been evaluated by IT teams and are now commonly approved solutions that many enterprises leverage as 2FA solutions to protect business and technology applications. Duo, the market leader in 2FA solutions for trusted digital access currently deployed by more than 15,000 customers worldwide, has welcomed BioConnect to their Technology Partnership ecosystem. The BioConnect solution unifies physical access with Duo mobile authentication. Duo Beyond is built on the principles of the zero-trust framework that requires verification of the user’s identity and the trust of the device before granting access to an application. BioConnect is bringing this verification of a user to the door. Organizations of all sizes that currently use Duo for protecting users, data and digital access can now leverage the same mobile authenticator for step-up authentication when attempting to access physical spaces offering higher identity assurance and a layered defense against unauthorized access. The solution is not limited to door access only, its capabilities allow any physical access point (cabinets, machinery, vaults, equipment, etc.) to provide additional step-up authentication security measures. Video to demonstrate the Duo solution for physical access. Security teams can now expand the breadth of assets secured by an existing IT-approved, Duo application. Card only – allow users to continue in their current method for accessing physical spaces. Card + Duo – for areas requiring higher security, or for any area where an access attempt seems out of the norm, require a step-up authentication on the user’s mobile device to authenticate access. Transforming existing door hardware and making it mobile enabled, also allows security teams to now gather significantly more data from an access point versus traditional card methods by including data from the mobile device. Data from physical security endpoints can be brought into existing Duo dashboards allowing one single view for all access data. BioConnect continues to be a leader in the physical security space and seeks to unify the world of physical and digital security through secure identity-based solutions. Our partnership with Duo allows any organization to implement a solution that ensures trusted access for all their digital applications and now their physical applications, as well. 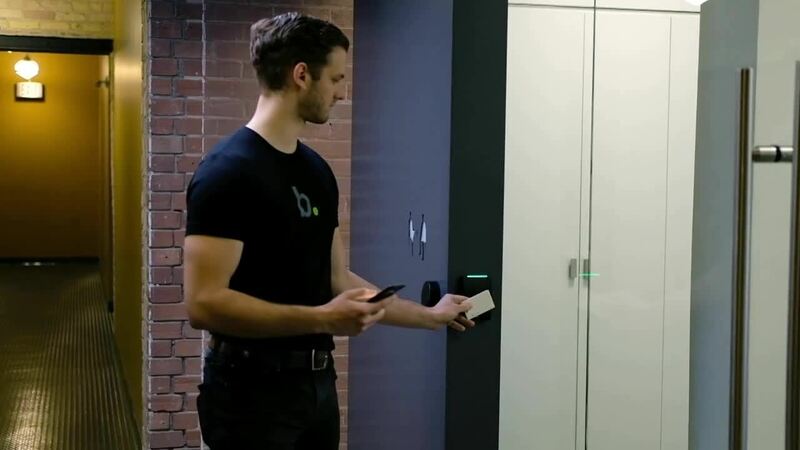 To learn more about the Duo solution for physical access control, reach out to sales@bioconnect.com, or visit BioConnect at Booth 28065 at ISC West from April 10-12th in Las Vegas. BioConnect has a fundamentally different approach to identity. Copyright © 2018 BioConnect. All Rights Reserved.